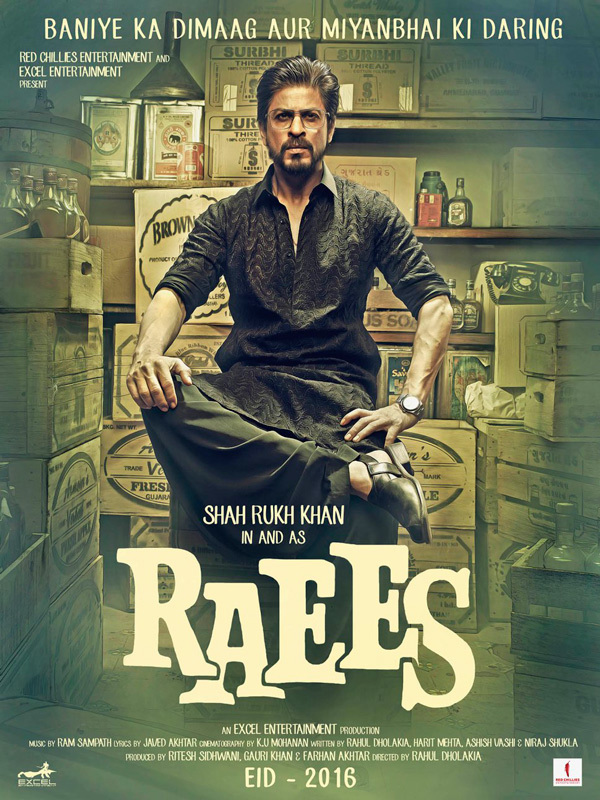 Shah Rukh Khan turns 50 today. But no, he is not writing that speech to accept his 'lifetime achievement' award - like the yesteryear stars who faded away by the time they hit 50, regardless of how bright they shone at their peak. When India's first angry young man Amitabh Bachchan turned 50 in 1992, the audience had given its verdict - they had had enough. Tragedy King Dilip Kumar was looking tired in movies by the time he hit half a century in 1972. Dilip Saab read the writing on the wall. A year before Raj Kapoor turned 50, it was clear that the Indian Chaplin had to bow out of the stage and make way for his son/s. The Evergreen Star of Indian cinema delivered his last big hit in 1971, two years before his fiftieth. That, however, had nothing to do with his spirit. He continued to make film after film till he died, almost four decades later. Indian cinema's macho man, Dharmendra, too, started fizzling out a couple of years before he saw 50. Not King Khan. 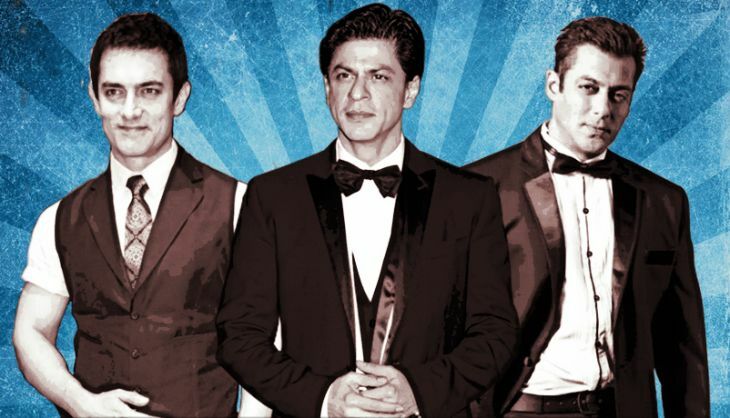 He continues to play the hero, as do Aamir and Salman. While Shah Rukh is working on Dilwale, Fan and Raees; Salman (who turns 50 two days after Christmas) will hit the screens this Diwali with Prem Ratan Dhan Payo. Then there will be Sultaan next Eid, to be followed probably by a Dabangg 3. And of course, Sallu Bhai continues as Bigg Boss on the telly. The more choosy Aamir, meanwhile, reached the age milestone in March this year. 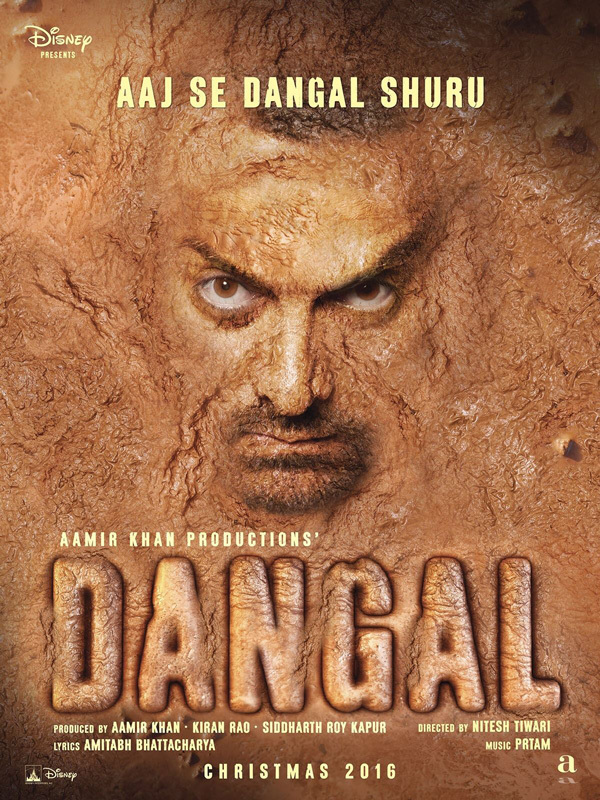 He is now busy playing a wrestler in his next - Dangal. Not that we are complaining! Arguably, the tallest Indian (Bollywood, or otherwise) filmstar made a slow start with Khwaja Ahmad Abbas's Saat Hindustani in 1969. 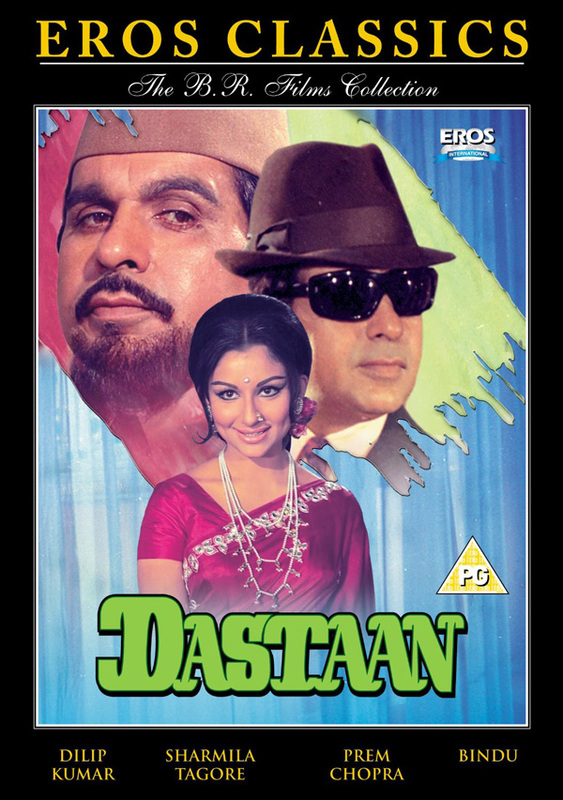 But once he picked up steam with Zanzeer in 1973, there was no looking back: The angry young man had arrived and the next decade belonged to Deewar, Sholay, Trishul, Lawaris, Shakti, Coolie... and you name it. Then came the lull in the mid-'80s with Big B's foray into politics. He was back soon, but films like Shahenshah and Ganga Jamuna Saraswati didn't make the same impact. There were flashes of brilliance like Main Azaad Hoon, but these were few and far between, and others likes Toofan and Jadugar were just washouts. 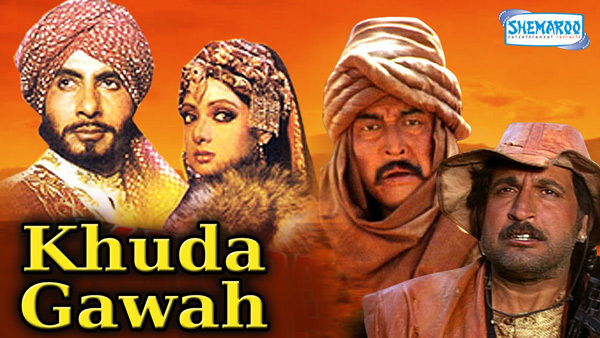 Finally, when he turned 50 in 1992, the audience had given its verdict: with Khuda Gawah, they had had enough. The biggest star had to retire. Yes, he did come back half a decade and a disastrous business venture later with Mrityudaata. But the world had moved on. Today, he continues to attract both filmmakers and viewers in his own unique way, but it's just not the same any more. Satyajit Ray called him 'the ultimate method actor'. He had no plans of becoming a film star, but when he did become one, he did it well - right from his first release Jwar Bhata in 1944. Within a decade, he was already the Tragedy King and the winner of the first 'Filmfare Best Actor Award' for Daag (1952). Senior actors like Ashok Kumar were still around, but for Yusuf Khan becoming a legend was as easy as 1, 2, 3. Mughal-E-Azam (1960, after a long-drawn wait) and Ganga Jumna (1961) cemented that position. When all the tragedy became too much to bear, he mixed it with breezy stuff like Ram Aur Shyam. Again, brilliantly. By the time he turned 50 in 1972, his fatigue came through in movies such as Dastaan and Gopi. Besides, Indians screens had come across their first superstar in Rajesh Khanna and for a moment, it seemed, nothing else mattered. Perhaps, Dilip Saab read the writing on the wall. Perhaps, he was genuinely tired. Either way, he stopped playing the leading man after a few more films and graciously moved to playing more mature characters, which again he did with elan. He first faced the camera when he was 10, and at an age when others would still be in college, the Showman did what he was supposed to - make a film. Raj Kapoor produced, directed and acted in Aag in 1948. It flopped, but he picked up his lessons and a core team of colleagues to make the superhit Barsaat next year. In 1951, Awara introduced Raj Kapoor's Chaplenesque alter ego to the world and got him his first Palm d'Or nomination at Cannes (the second one was for the 1954 film Boot Polish). So popular was the film that 'Awara hoon' is still a common refrain in the erstwhile Soviet countries. Kapoor became a cultural ambassador and ruled the box office for more than two decades with stellar movies like Shree 420, Anari and Sangam. 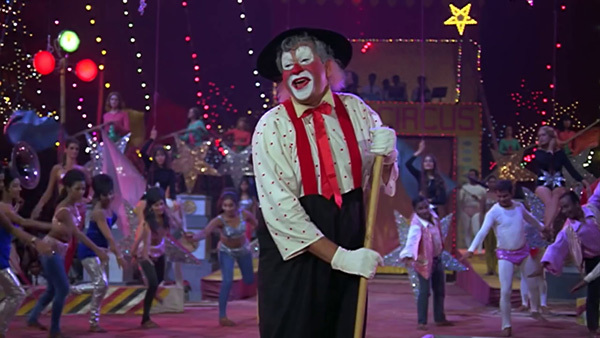 And then came the crash: His most ambitious production, Mera Naam Joker, turned out to be self-indulgently long (with two intervals) in India of the 1970s and almost spelt doom for his RK Films. A year before he turned 50, the man with the Midas' touch salvaged the situation with Bobby, which made his son Rishi Kapoor a sensation. At the same time, it was clear that the Indian Chaplin had to bow out of the stage. Along with Dilip and Raj, he completed Bombay's first star troika. But unlike them, he broke away his heroes from Indian moorings, representing the new-found confidence of the youth of a newly independent country. Stylish acting in slick flicks like Jaal, Baazi and CID got him the monicker of India's Gregory Peck and directors like his brothers Chetan and Vijay Anand and his friend Guru Dutt ensured he got interesting roles in Afsar, Guide, Jewel Thief etc. Dev had turned producer early on in his career. In 1970, he also took to directing, with Prem Pujari. 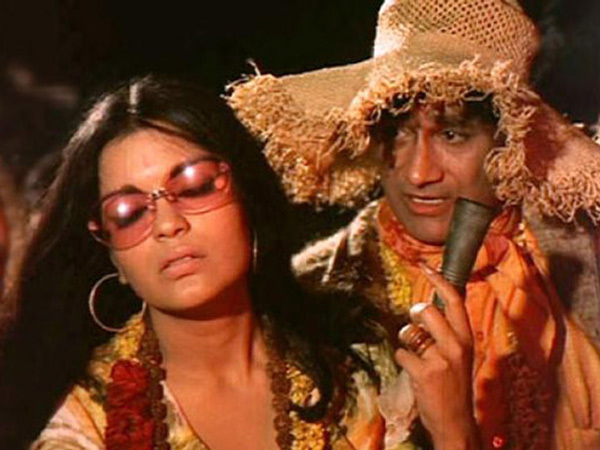 That was a hit as was Johny Mera Naam, directed by his brother Vijay, in the same year. Dev's second directorial venture, Hare Rama Hare Krishna's phenomenal success made it look like he would buck the trend of the golden stars fading away. But that 1971 film turned out to be his last big hit. Dev, who turned 50 in 1973, however, remained the Evergreen Star, continuing to make film after film until Chargesheet in 2011, a few months before his death. He launched several careers, including those of Zeenat Aman and Tina Ambani. But as the leading man, his appeal was over. The boy from Punjab was perhaps the first Hindi film hero to have found stardom through a talent contest. Despite an industry dominated by stalwarts like Ashok Kumar, the Raj-Dev-Dilip trio, Shammi Kapoor and Rajendra Kumar, Dharmendra had a steady start. He found favour with ace filmmakers such as Guru Dutt, Bimal Roy, Asit Sen and Hrishikesh Mukherjee in the 1960s, and delivered impressive performances in Baharen Phir Bhi Ayengi, Kaajal, Anupama and Satyakam. By the turn of the decade, the actor reinvented himself into a star and Dharmendra became Garam Dharam - Hindi cinema's He-Man. The 'meaningful' roles were still there, but action dramas like Yaadon ki Baraat, Black Mail, Sholay and Dharam Veer drew the audience in droves. It was a wise move in two ways. First, romantic heroes were a dime a dozen at the break of '70s - remember Shashi Kapoor, Jeetendra, Rajesh Khanna, Rishi Kapoor et al? Second, the mood of the country was changing. But Dharmendra was not as lucky as Amitabh in netting author-backed action roles. In the '80s, the hits started fizzling out and in came duds like Professor Pyarelal (1981). 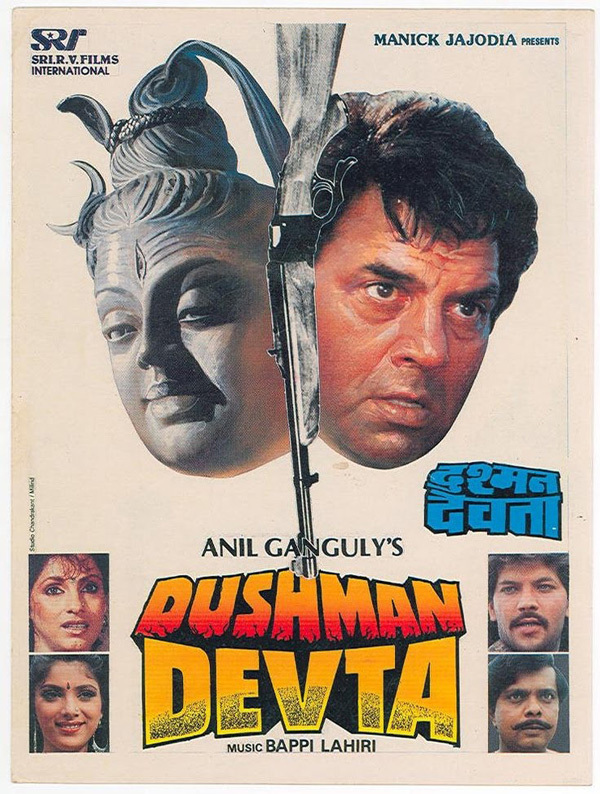 The 1985 JP Dutta drama Ghulami was perhaps Garam Dharam's last hurrah before he settled for lower-budget B-grade action capers like Dushman Devtaa and Aag hi Aag. Fortunately, he has now left that phase behind, shining occasionally with movies like Life in a Metro and Johny Gaddar.